IGNIS (Shenzhen) Technology Innovation Company Ltd. was established by IGNIS on December 27, 2018 to better serve customers in the region. Peter Monsberger is Executive Director of the new entity and Dr. SJ Tang, PhD., is the legal representative for IGNIS in China and will be managing the office. “It is important for IGNIS to have a physical presence in China, so we can focus on our local customers, partners and employees as China moves towards 2025”, stated Peter Monsberger, IGNIS’ s CEO. Dr. Tang added, “this new office will allow us to collaborate more fully on advancing OLED technology through licensing and transfer of knowledge. Our Shenzhen team will work closely with the team in Waterloo to ensure IGNIS customers have the best experience possible”. 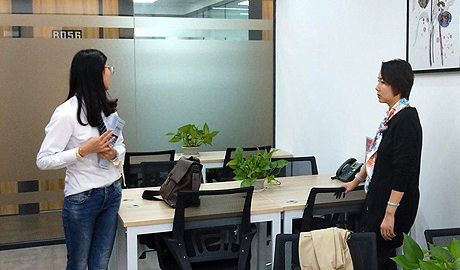 Located in the Shenzhen, Guangdong, Pilot Free Trade Zone, the office will provide both technical engineering support and local sales support to customers in the region. The office address is; B036, 2 Floor, Block B, Digital Building of Garden City, No. 1079 Nan Hai Road, Nanshan District, Shenzhen, Guangdong, China, 518000.